Bananas enhance the strength, endurance and shine of the hair. 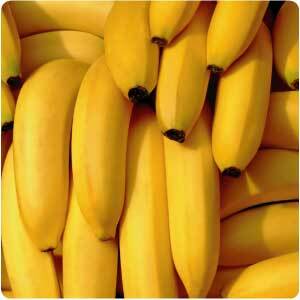 Full of vitamins, bananas are the number one ingredient for strengthening and volumizing the hair. It helps in repairing dry and sun-damaged hair. Mash the bananas, honey, egg yolk and almond oil to make a smooth paste. Moisten your hair with warm water and apply the paste to your your hair. Use a shower cap or wrap you hair with a towel to ensure the pack penetrates deeps into the roots. Let the pack set for 25 - 30 minutes. Wash it off with regular shampoo. Banana is rich in potassium, natural oils, carbohydrates and vitamins. These help in softening the hair and protects the hair's natural elasticity preventing split ends and breakage. The type of hair that is suitable for this treatment are dry hair, dyed hair and for hair after perm. It also serves as an excellent treatment for addressing the problem of dandruff and is helpful in retaining moisture on your scalp.